Naturaland Trust and Upstate Forever have succeeded in protecting one of South Carolina’s most special places—the 1,648-acre Nine Times Forest in Pickens County. An ecological jewel, the property contains three mountains of stunning granite outcroppings as well as streams, creeks and stands of hardwoods. Located in close proximity to Jocassee Gorges, the tract also provides exceptional habitat for bear and other wildlife. In 2012, Naturaland Trust and Upstate Forever negotiated an option to purchase the property from the owner, Crescent Communities, at a price of $3,543,780 and then began seeking public and private support for the project. The funding came together from four major sources. First, Naturaland Trust was selected to receive a grant from the U.S. Forest Service. The grant was awarded under the Community Forest and Open Space Conservation Program in a highly competitive process. Only 10 grants were awarded nationwide, and Naturaland Trust and Upstate Forever’s grant was one of only two in the Southeast. In addition, Naturaland Trust and Upstate Forever reactivated a 5-year-old grant application with the South Carolina Conservation Bank. The Bank’s Board unanimously approved a $1.5 million grant for the property, payable in two installments. During this time, Duke Energy was negotiating the terms and conditions to be proposed for a new license for its Keowee-Toxaway Hydroelectric Project. As one of the conditions, Duke Energy provided $1,044,000 for the purchase of the Nine Times Forest. The closing occurred just before the 2013 holidays, and Naturaland Trust is now the owner of the property. 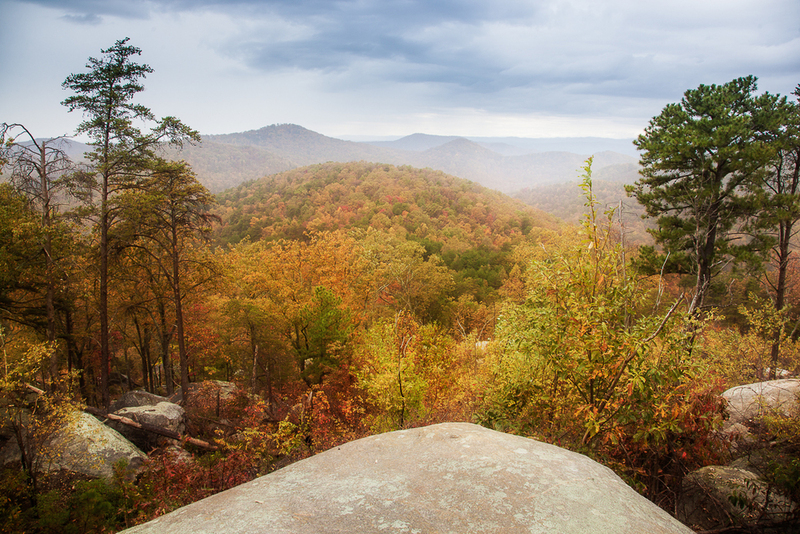 The Nine Times Forest is one of the largest intact unprotected forests left in the Upstate. Several years ago, about 560 acres were protected through a broad-based effort, in which The Nature Conservancy, Naturaland Trust and Upstate Forever actively participated. That tract is now owned and managed by The Nature Conservancy. The Nine Times Forest adjoins The Nature Conservancy’s preserve. In 2012, Naturaland Trust acquired over 100 acres adjoining Nine Times Forest, providing an even larger natural area. 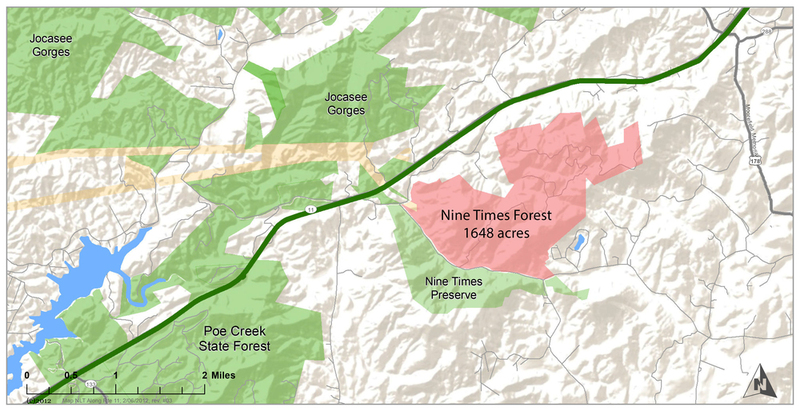 The Nine Times Forest adds a significant piece to the existing matrix of protected lands in Pickens County along Highway 11.